I was amazed to read Lexus have been around for 28 years, they launched the LS which was aimed squarely at the Mercedes S Class. It wasn’t the most beautiful looking car but it was filled with gadgets and they were always the most reliable cars around. Add to this a level of customer service that just didn’t exist it was easy to see just why they made a name for themselves. In America, the brand just went from strength to strength; it took a while for them to do as well over here though. As I’ve mentioned before the reliability of the cars helped them top the all-important JD Powers survey year after year. 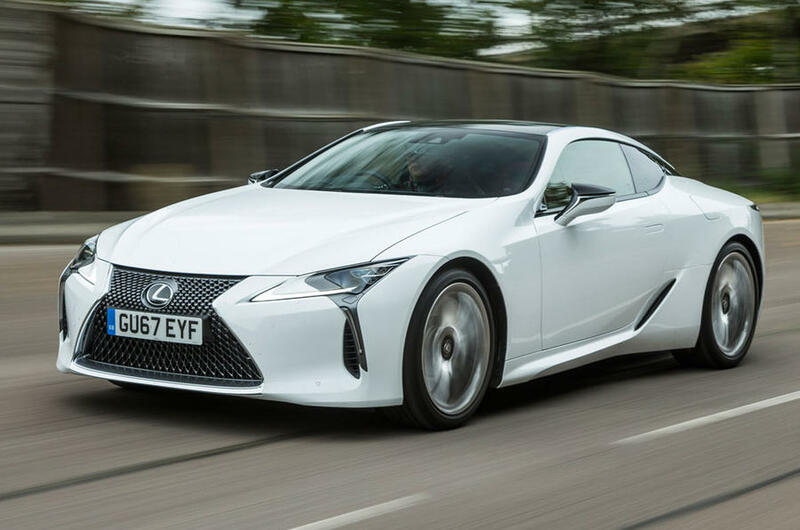 In recent years Lexus have been accused of building very boring cars, they built what can only be described as a supercar. The LFA is a very, very rare sight but Jeremy Clarkson even said it was the best car he’d ever driven. Coming from him that’s a real compliment! Unfortunately, given the price and the limited availability it’s not a car you’re going to see every day. Toyotas Chief Executive Akido Toyoda is a keen racing driver and even he has been telling the designers just how boring the styling is. At the Detroit motor show he even quoted owners who’d written letters to him saying how much they loved the cars and brand but they just wished they were funkier in terms of styling. Taking the letters and comments to heart, he said he didn’t want the words boring and Lexus to occupy the same sentence ever again. This brings me to the car I’ve recently had the real pleasure in driving. The Lexus LC is a really stunning looking and downright beautiful car. It’s not being called a sports car but it is more of a Grand Tourer and I would say it’s real competitor is the BMW 6 Series and possibly even the Mercedes SL although the SL has the option to drop its top. Akido must have been proud of the designers as they have created a truly stunning looking car; another area where Lexus normally fail in my book is the interior. They tend to be quite nowhere near as stylish as Audi’s but with this car the designers have really got the brief. The car is full of high quality leather and suede all over the place. From the clock in the middle of the dash to the navigation and infotainment screen it just screams quality. The buttons and stalks have a real quality feel, the designers have upped their game big time and I really hope the rest of the range get beautiful interiors. Lexus continue to use a touch pad style controller for the navigation, it’s really fiddly and very hard to use. BMW’s iDrive system is much better and easier all day long. The cars speakers are something else, the sound quality was extraordinary. They are supplied by Mark Levinson. The speedometer can be moved around and if you have the Hybrid version you can see how the brakes help charge the battery and it’s interesting to drive the car on electric before the engine kicks in. I know it’s sad but you know what they say about small things! The car is a 2+2 but the rear seats are OK for small children, I didn’t even attempt to try and get into the back of the car. I would personally use the space for carrying bags or shopping. The boot isn’t massive but there is enough room for a couple of overnight bags. To help give the car nearly 50/50 weight distribution Lexus have used composite metals, carbon fibre and aluminium. The cars battery has been fitted to the boot and the spare wheel has been ditched all to save weight. Owners have the choice of two engines, a 5lt V8 produces 467bhp and it has a top speed of 168mph and it gets to 62mph in 4.4 seconds. Amazingly for a two tonne car it’ll return around 24mpg. Lexus have fitted this car with a 10-speed automatic box. The other engine option is a 3.5lt V6 which also has an electric motor, this produces 354bhp and it has a top speed of 155mph and it gets to 62mph in 4.7 seconds. With the smaller engine and the Hybrid engineering the car returns 31mpg. The Sport+ tops the range and the sunroof is ditched for a Carbon roof, rear wheel steering also makes this car much sharper to drive. Lexus aren’t expecting to sell loads of these cars so again it’ll be a rare sight on the roads, I think they’ve got 250 to sell for the year I’m sure my friend Andrew Clark will do his best to find you one if you’re in the market for one of these lovely cars. The LC is priced from £77k to £86k and yes, I know that’s not cheap, but you are getting a car that gets people stopping and pointing and taking pictures every time you stop at the traffic lights. With this car you’re getting not only a beautiful looking car but it it’ll be reliable and the customer service is second to none.